How To Do 3D Rendering For An Office | Supreme Supports Pty Ltd. Right in the heart of Stockholm, in one of our Rotterdam office's 3D Rendering services design, we've taken a step ahead for the design, innovation & working space with RONENBEKERMAN. We wanted to shape the future and make our design achieve great success with this Rotterdam office project. In this particular project, the Navy color palette was our option of choice for the traditional and contemporary furniture and walls. Whatever we have done, we would like to share our works and project view with our readers. We used Corona Render software and as you can see the set up is pretty straight forward. Almost everything is in the default set up. Kim_Amland_Photographic_02 LUT was our choice here because it is a great LUT scene offering great contrast and awesomely enhanced environment light. We collected the materials from the client. Based on those received materials, we estimated a price for that project and created a project plan for the client to follow. We asked our client roughly when they want the rough project plan and when we were expected to hear feedback from the client. According to our main Architect, we created a rough internal specification based on the client. One of the specifications is the mood board which was also consulted with the client. Then we started doing the 3D Rendering. When rendering, our main focus was to create the right environment and feeling based on the client's brief. The most critical part of creating a 3D image is obviously placing the right materials in the right place and making the mood. If done all correctly, it is easy to build up the trust of the client on a first glance and avoid any unnecessary comments from the client. After completing the first draft, it was presented to the client and the client feedback was collected. The client needed some change in the draft mood and we established the change. Direct conversation with the client is a must here. It will help the client to understand what is our approach and if we make any changes according to the client, the result would be good or bad. The 2nd draft was given to the client and the feedback was collected. At this stage, there were some minor changes and then we delivered the FINAL result. Actually, for the working place or environment, we didn't change much to the meeting room and pods compared to the client's requirements. Generally, we get our desired information from the structure of the 2D floor-plan. We rearrange the models according to it. We think it is important to show our naked rendering work. Here we are showing you every single pod that was created for the meeting room of the project. You can clearly see that in the 1st plane of the image, there are only 2 working tables lying on the floor and in the 2nd plan image, you can see the whole meeting rooms with some people working on the tables with the pods. Ideally, our plan for making the floor plan was to go with some of our past projects. We did make the floor with the floor generator plugin. We tried to bring Wood texture for the flooring plan from the CG source according to the client's needs. The existing ceiling was a bit dark for the past project, so we had to make it brighter. 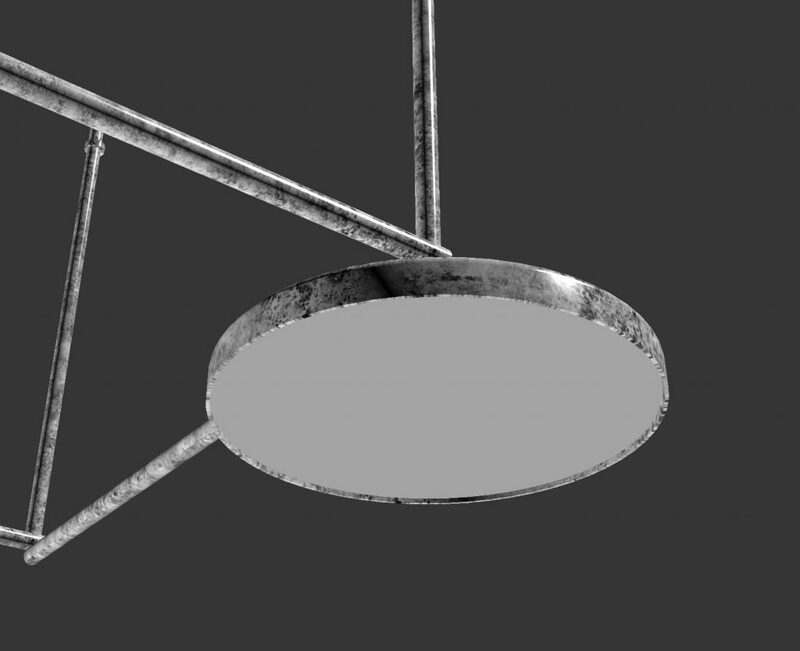 We used Corona Renderer to make the ceiling material brighter than the previous one. With Corona RaySwitch material we added some brighter materials in the global composition shot. Otherwise the scene we getting so dark. For the walls, we chose to go with pure softness on the diffuse map. We added some glossiness and bumped up the lighting in some particular areas. This way we had a greater chance to set good lighting for the scene and not letting it too dull or flat. After slicing the lighting work into 3 groups we had better control over the lighting situation and better knowing of what we were doing. We could play more with the light intensity and color of the lights. We set the color temperature in the cool tone which was coming from the environment and warm tone for the artificial lighting along with the spotlight. The images were fully rendered with Corona Renderer. For us, this is the best option for any 3D Rendering services type of project. With the Corona Renderer LightMix, it is easier to change some particular detail shot like some intensities and colors without setting another mood without rendering all again.